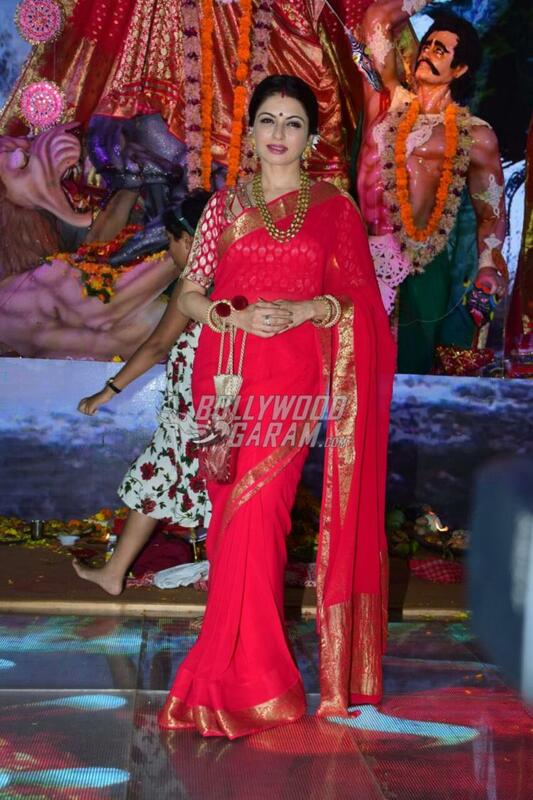 Celebrities from Bollywood are making the most of the concluding days of the Indian festival of Navratri. 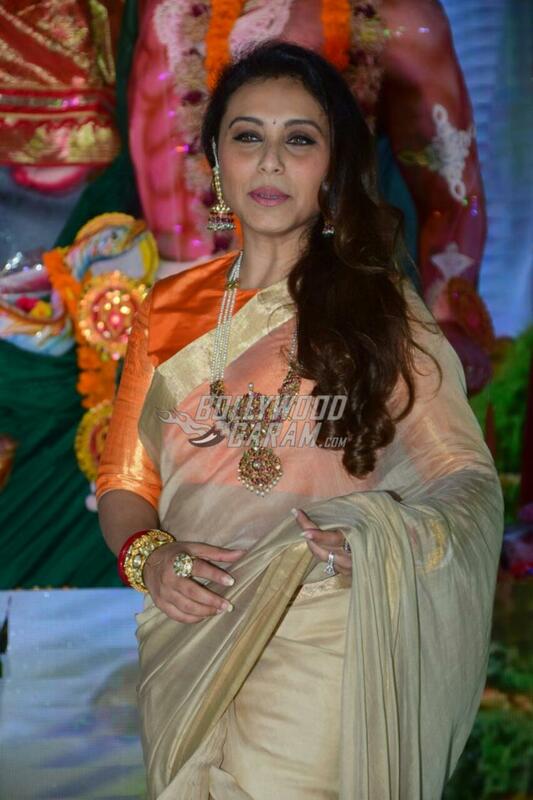 Actress Rani Mukherji was snapped offering prayers on the final day of Navratri in Mumbai on September 29, 2017. 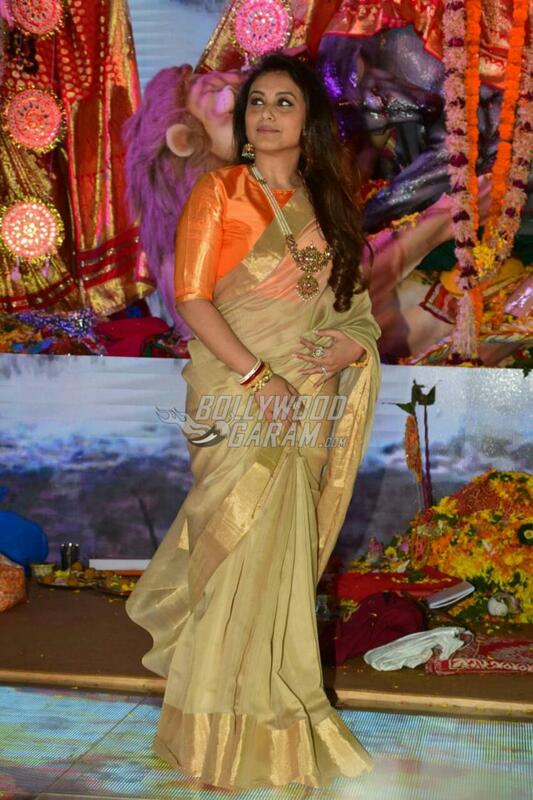 The Saathiya actress looked gorgeous in a brown sari with an orange blouse and completed her look with pearl jewellery. 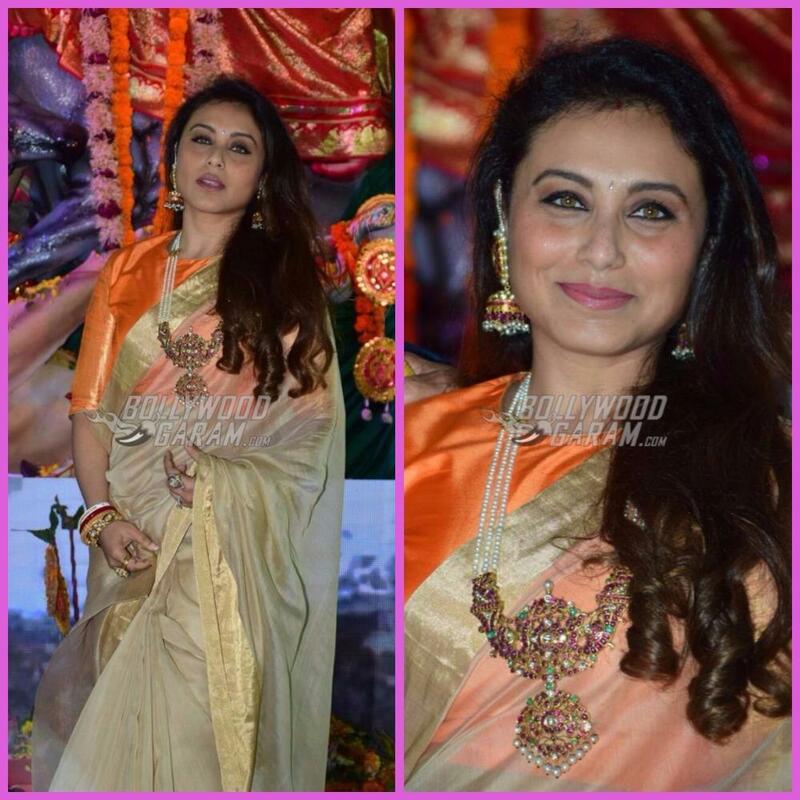 Rani at the Navratri event was seen bonding with actress Bhagyashree who looked pretty in a red sari and heavy jewellery. The Kuch Kuch Hota Hai actress during the event interacted with the media and talked about her childhood memories during the festive season. 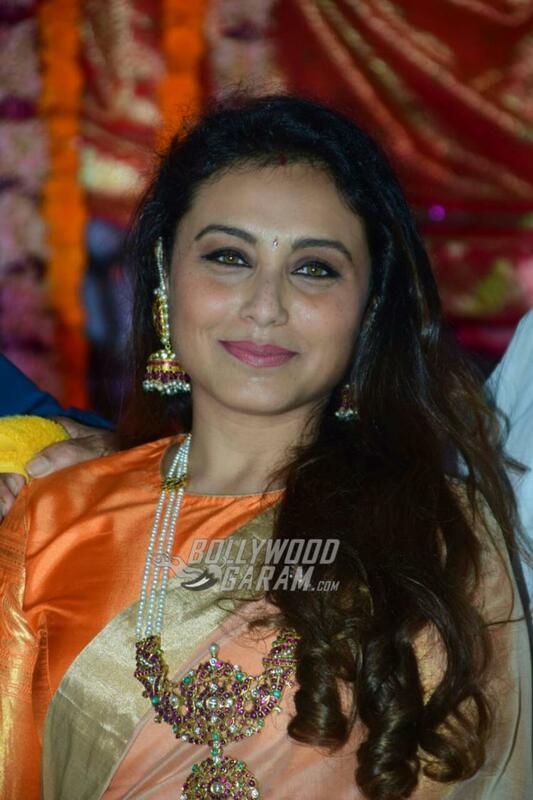 Rani also spoke about how things took a turn when she became a star. 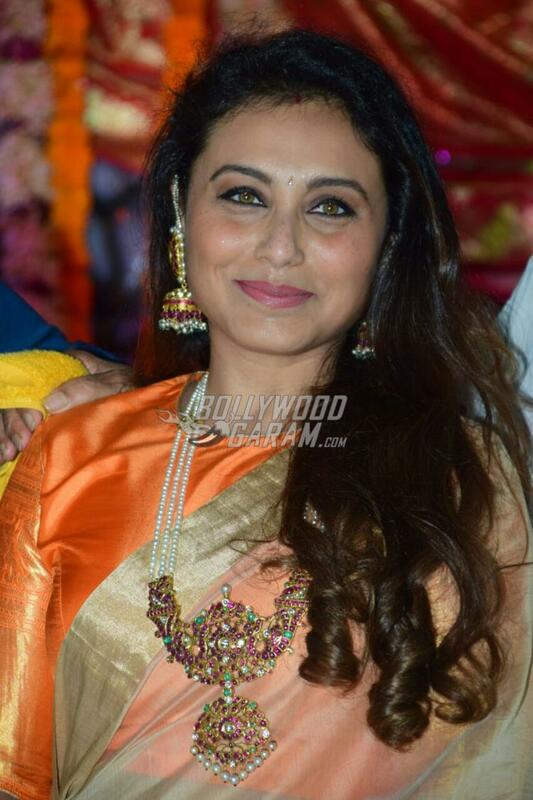 Rani was last seen in the film Mardaani and is ready to return to the silver screens with the film Hichki. 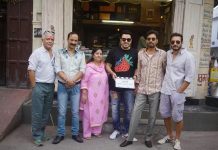 The makers of Hichki are yet to announce the release date of the film. 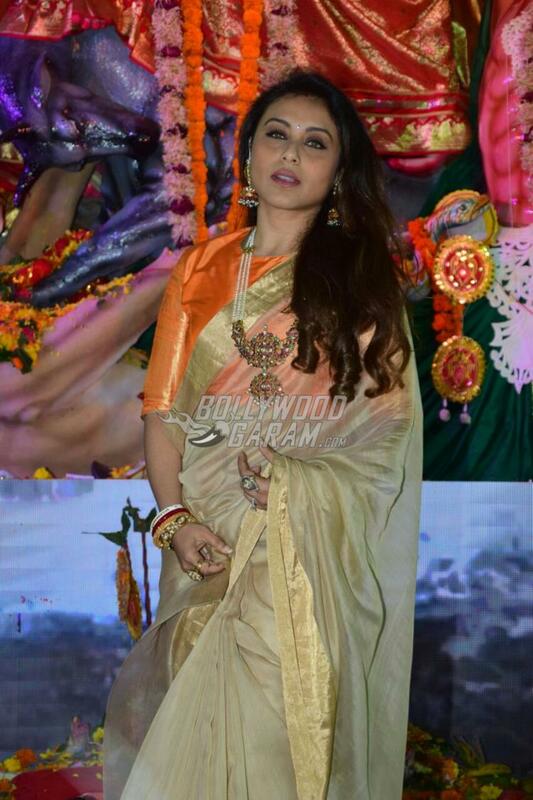 Exclusive photos of Rani Mukherjee at the puja pandal offering her prayers!